Jaipuria group is making headway on all three counts - increasing enrolment and access, reducing dropouts once enrolled, and ensuring right delivery - in a consistent manner. The current K-12 school system in India is one of the largest in the world with more than 1.4 million schools, with more than 250 million students enrolled, reveals EY-FICCI report on the education sector in India. Tell us about Seth M R Jaipuria Schools. It is often said that ‘If you want to build a great nation, build an educated society first’. With that philosophy, the House of Jaipuria - including the Integral Education Society, Ginni International Limited, and Ginni Global Limited- ventured into education in 1945 with the setup of the Jaipuria College, Calcutta, and since the last seven decades, we have grown to include schools and management institutes. We are collaborating with edupreneurs for setting up of schools across the country. Our vision is to ensure that irrespective of whether a child is in Tier 2/3/4 city, they have access to best quality educational resources available. How is Jaipuria Group unique? What has the school’s contribution to Indian education industry been so far? With the desire and intent to ensure that quality education delivered across the country, Jaipuria has envisioned opening 50 new schools in India in the next 5 years. This means that slowly, but surely, education standards of the country would improve. No pessimism then; this change makes us very bullish on education in the country. Each child is a precious being. It is quite important that quality education is made available in Tier 2 and Tier 3 cities of India and indeed Jaipuria group is doing an excellent work in this direction. Highlight the challenges that the school has faced. How did you tackle them? It is a testament to the faith that people have on JAIPURIA that we have collaborated with 15 edupreneurs in a short span of time for setting up of schools. Our service and support model is the best in class, and unprecedented in the Indian education space. We are growing fast to bridge the gap of lacking quality education in small cities. We have a fairly detailed orientation and training & development process for all our stakeholders - be it our investors or the staff. If one looks at the Tier II and Tier III cities, the penetration of high quality schools is still low there, however, the demand for growth in these cities is exponential. In a short span of 2 years, we have emerged as a strong player in the schools space. We have been recognised by many investors as providing most in-depth solutions to them in comparison to other brands which have been present in market for decades. How has your journey been so far? What is your future road map? Highlight expansions plan, if any. Seth MR Jaipuria School has soared to new heights with every passing year. Our students have placed in the top three ranks nationally in the ISC and ICSE standard examinations. 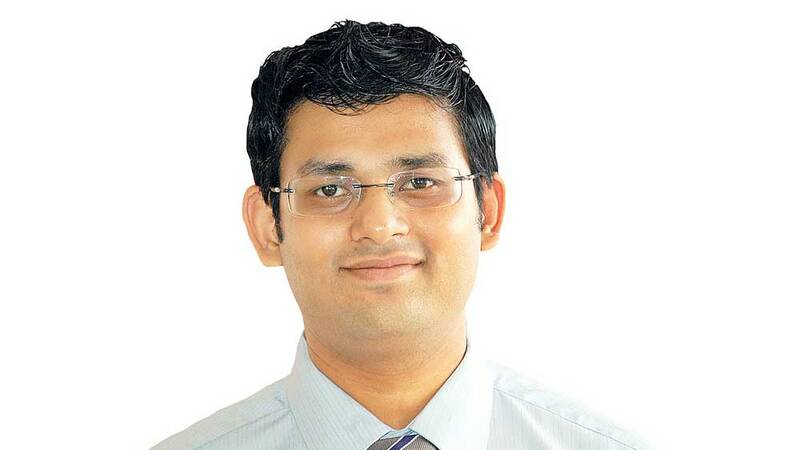 An alumnus of ours, landed a 1.8 crore job with Google after completing his graduation from IIT Patna. We made a mark on world policy through the presentation made by a team of three of our Class XI students, at the COP21 climate summit in Paris. We received international recognition being featured by Huffington Post, perhaps the world’s largest and most respected blog, and the University of California at Berkeley, as an example of “What a Greater Good School Looks Like”. We are amongst the first schools in India to partner with Teachers without Borders and the International STEM Society to co-create the best in international educations for our students and beyond. In the coming five years, we would be penetrating to at least 50 cities. The bulk of this growth will come in North India, because the recognition and recall of the brand is very high in the region. Uttar Pradesh, Bihar, Rajasthan, Madhya Pradesh, Haryana, Punjab and West Bengal are areas of potential expansion for us. There would be more than 50 schools and over 35,000 students studying at Jaipuria Schools. Highlight major challenges that India is currently facing on the path to become a complete literate economy. How can these bridges be filled? In the days of global economic crisis, it's this strengthening of mind that aims to ensure an obstacle to mass economic washout. It's this formation of character that education alone can provide. I wish to convey that mere recognition of numerals and letters is not what education is confined to. Education is not confined to literacy alone, it depends a lot on literacy though. When communication is now ‘online’ and transaction is 'viral', literacy is today traveling the distance from luxury to necessity. It is important for the literate, for our own collective selfish reasons, to spread and provide literacy in whatever manner possible. It's a privilege to stand before you as an educator because this is one fraternity that can make a difference in the days to come, to what plagues us the most today, locally and globally - economic depression. I hope the literate will share literacy with the illiterate and not just make them aware of alphabet or numbers but concentrate hard on expressing the values and urgent need of education. EDUCATION IS INDEPENDENT OF INSTITUTION. Education is more of a self-awareness, a collective communication for distribution of collective responsibility. Distribution of labour is a passe but the new demand is segmentation of responsibility. The level and layers of literacy based on the certificates earned and marks scored is a checklist which can't be ignored totally till a SOS is detected. Till some other system is discovered to analyse how much one has been able to understand but in practical essence, even the education system is in need of a change where institution is a mere facilitator but not education in totality. Alternative education has the potential to be the messiah, the Lord Krishna, the Allah and the Jesus Christ of today's times, to defeat the evils of cultural and overall global degeneration. How important is technology in education? What is your opinion on digital classrooms? I strongly believe that in the teaching-learning process, technology should be seen as an enabler of the process, not as a substitute for the teacher. You just cannot replace the teacher. When someone says, “We need to have digital content in the classroom,” they do not know what they’re talking about. They simply want a huge board hanging outside which says Curriculum Powered by XYZ. These kinds of Principals and School Management are mercenaries, not educationists. And if some salesman comes to your school with a boxed product, do two things. 1. Give them my reference and ask them to meet me and 2. Ask them to run away as fast as they can! If they do come to me, I’d be happy to give them a piece of my mind. No, just kidding. But please, educate your parents that having a boxed-packed-curriculum-with-fancy-animation isn't equivalent to a progressive school. Our kids are living in a technological age. However, that does not mean that when you have to teach anything and everything, you need to have an animated video. We need to open our teachers’ minds and thinking about what are the really cool things that technology can do that you can’t do with pen and paper, again, as an enabler. Empower your teacher when and why to use technology. Empower them to know how to distinguish between technology being a support and technology being a replacement. Now, another problem is when schools and management start talking about ROI; for the uninitiated, that’s return on investment. In this space, you’d find a lot of venture capitalists pushing investment in education products and services that encourage technology-based instruction in a booming ed tech market that attracted close to one billion dollars in capital investment last year. They're doing their job. It's our collective responsibility to guide them adequately to make prudent investment decisions. As school management, you need to have a balanced view. What’s more important is that when you force tech down the throats of teachers, you’re not making the teacher buy-in on the takes of technology. Instead, you’re using an iron hand to say “use this video” or “punch data on this backend” without helping them establish the ground realities. Yes, you will have some teachers who will always show resistance to technology. You, as school leaders, have to get the teachers to own the technological processes. Ease them into it. For example, if teachers follow process and enter minimal data on a daily/weekly basis on the system, would they have a backlog of legacy data? No. They’d be able to apply their mind to customisation for every individual child. My final take on this: I don’t think tech itself will improve learning. It’s the meaningful use of technology that can impact learning. Be progressive. Be balanced in your approach. Empower your teachers to use tech and be enablers. Do you think K-12 schools are resistant to innovation? If not, what kind of innovation is Jaipuria Group of Schools undertaking? I came across this school in Miami, USA that has a three-year plan for any technology implementation. First year, teachers explore, play, experiment, fail, and learn. Second year, there is a minimum technology usage requirement. In the third year, it’s mandatory for all teachers to use tech. The play/fail experiment model enables teachers to know about how to best utilise resources. I would like to believe teachers are excited about the possibilities of innovation and creativity, yet they are still limited by some of the realities – the lack of orientation, understanding of innovation and creativity, hardware, infrastructure and primarily, training. That brings in the very human aspect as well, of resistance to any change. So, the very expensive interactive white board essentially becomes a scribble board, and a screen for showing videos. I suggest you encourage your teachers to play around with the white boards to learn more and more. I personally love the interactive boards. They give me an adrenaline rush on the unending possibilities as to what all one can do in the classroom! This non-threatening way would ease out teachers, and in the long run, be meaningful for development of the child, instead of pressurising teachers, on-board. If someone comes to me with an idea to sell digital content in a box, I actually ask them to leave. These are software development companies doing a wonderful job marketing a product. They aren’t institutions of any academic standing. Where do you see India’s education sector in the next 5 years? Where do you see Jaipuria Group of Schools in the next 5 years. In the next five years, we see at least 35,000 students studying with us, and 4000 plus teachers with us. We hope to be operating in at least 50 per cent states of India, and have made headway to locations outside as well. The essentiality of education and the desire of people to make their children educated will ensure that the education sector will grow at a geometric rate. Learnings from global education institutions..